The mission of the Estonian Academy of Music and Theatre is to contribute to the development of a human-centred Estonian society, the spread of a creative mindset and the preservation of the Estonian language and culture through education in the fields of music and theatre and the promotion of creative and research work. EAMT values the preservation of the inherent values of the Estonian national culture and maintaining the academic traditions of European music and theatre education, while being open to the latest developments in the world of music and theatre. EAMT is a public university of music and drama, offering higher education in all major fields of music and theatre through bachelor, master and doctoral programmes. 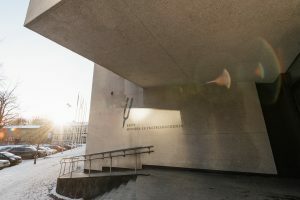 Although with its approximately 700 students EAMT is the smallest among six Estonian public universities and university-level higher education institutions, internationally it can be compared to medium-sized music and theatre academies. Bachelor programmes provide training for vocalists and instrumentalists, as well as conductors, composers, musicologists, music teachers and sound engineers. Master’s programmes also offer additional education and training in chamber music, accompaniment, contemporary improvisation and cultural management. The curricula for musicians focus on soloist, ensemble and orchestral performance or opera; music theory and history, as well as other fields in the humanities are also studied. It is also possible to obtain teaching qualifications. The Drama School at EAMT (Estonian Academy of Music and Theatre) prepares actors, directors and playwrights. The students of EAMT can additionally select courses from other Estonian public universities. In autumn 2011 a joint master’s programme in traditional music was launched with the University of Tartu, Viljandi Culture Academy. 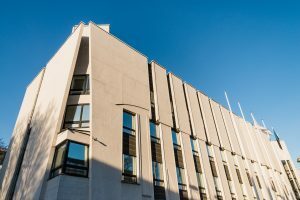 In the following autumn, studies began in two new joint master’s programmes: the Music Education programme in collaboration with the University of Tartu, Viljandi Culture Academy, and the Cultural Management programme in collaboration with the Estonian Business School. From 2010 to 2013 a two-year joint master’s programme in contemporary performance and composition offering students an open platform for experimental artistic practice within a European setting was developed under the auspices of LLP Erasmus Curriculum Development Project. The programme consortium includes the Estonian Academy of Music and Theatre, the Royal College of Music in Stockholm, the Conservatoire National Supérieur Musique et Danse in Lyon and the Hamburg University of Music and Theatre.